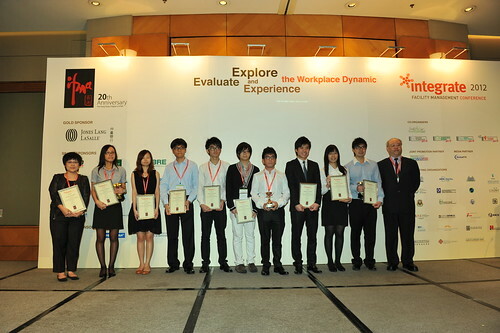 Inter-Institutional Competition on Facility Management Project Presentation 2012 was held on 26 May 2012. All shortlisted finalists had presented their exciting project to the jurors and the awards were announced during Integrate 2012 annual conference on 5 June 2012. In addition to the Gold, Silver and Bronze trophies and prizes, all finalists are also receiving a Certificate of Merit and one year student membership from the Chapter. Inter-Institutional Competition on Facility Management Project Presentation 2013 will be opened for registration by December 2012. Please stay tuned.